As a partner for corporations and major mid-size companies, we bring an extensive and comprehensive project experience as well as solid skills across many industries to the cooperative partnership. With this approach, we generate sustainable value-add and enable our customers to further forward their core business competency. As a SAP partner, we are developing our innovative applications based on the latest software releases of SAP HANA . In your projects, we let you, as a customer, benefit from the early adopter experiences that any of our consultants has gained. As a long-term partner, we take responsibility for the success of our customers' business intelligence solutions. This is based on our in-depth process know-how, our knowledge of the latest SAP technologies and our high level of social competence. We use all this with passion for the benefit of our customers. has been working as SAP BI Consultant since 2002. He started his career as SAP BI Basis Consultant. 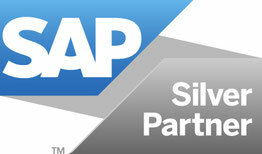 Since 2006, he solely provides SAP BI solution consulting. SAP ECC process expertise in procurement & sales as well as deep SAP BW & BI experiences have proven to be an effective combination in several projects. has been consulting companies in various industries on SAP BI Solutions in Germany and abroad since 2001. He covers requirement analysis as well as realisation of complex solutions and he has experience in leading teams. In recent years he was focusing on the development of a standard HR/HCM reporting solution based on SAP BW/BI.